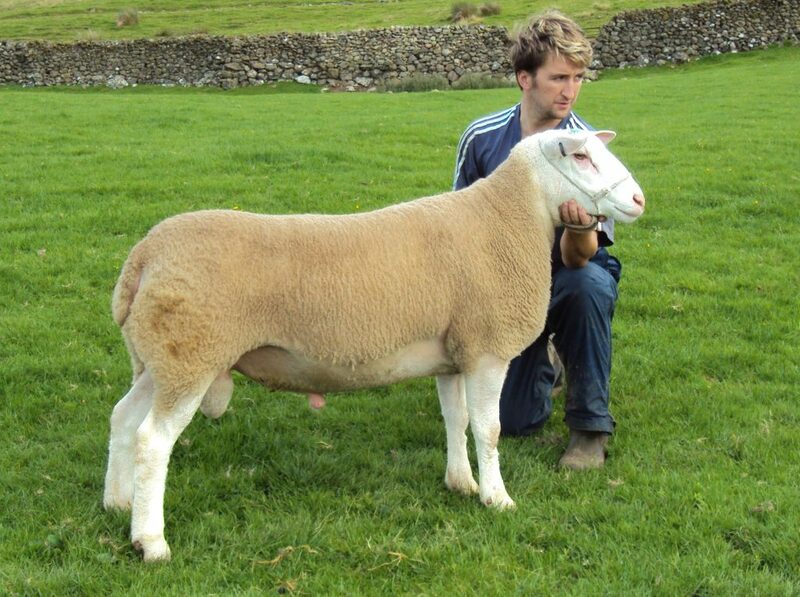 The Newark flock of Berrichons was established in 1991 with the purchase of LJL9623, MPF91007. YEO92001 and AJN92028 were purchased the following year. Our first stock tup was CMI91038. Since then the flock has been closed with only the purchase of stock tups including Rakefoot Commander and Kietle Adonis who were both Carlisle champions. Another stock tup bought at Carlisle came from the Inkerman flock and although not a Carlisle champion made 1800gns as a shearling. He came to Newark 2 years later when he was resold at Carlisle, He has left a lot of good sheep. Our stock tups at present are a home bred one NEW05005 and Rakefoot Jacobite WJC09009 who was purchased at Carlisle in 2010 for 1000gns. NEW05055 has sired many prize winners including Royal Highland Show Champion and Reserve champion 2012, Champion at Carlisle in 2010, and 1st prize tup lamb 2011. 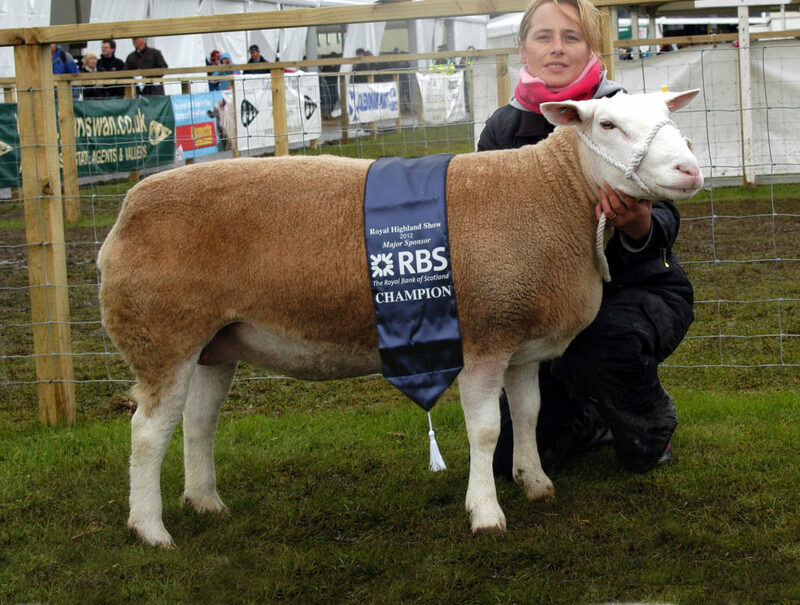 NEW10009 was 1st in her class at the Royal Highland Show as a ewe lamb in 2010, Reserve Champion as a Gimmer in 2011, and Overall Champion 2012. Newark have sold tup lambs every year at Carlisle since 1993 and many have gone on to do well for the new owners including Newark Henry to the Statesman Flock, Newark Big Boy to the Strathallow Flock, Newark Kaiser to the Criffel Flock and Newark Adam who made 750 gns to a commercial flock.